The United States has a multi-layered system of trademark causes of action arising out of federal statute, state statute and common law. Accordingly, trademark disputes may be brought in either federal or state courts. Aggrieved trademark owners may also file trademark claims in other forums. For instance, the International Trade Commission has the power to issue exclusionary orders barring the importation of certain counterfeit, grey market or infringing merchandise, and US Customs and Border Protection can block the import of counterfeits and infringing goods where a trademark is registered with Customs. The US Patent and Trademark Office (USPTO) Trademark Trial and Appeal Board (TTAB) also adjudicates trademark disputes. While its authority is limited to determining whether a mark is entitled to registration on the Federal Register, recent Supreme Court precedent has found that the TTAB’s findings on likelihood of confusion may be precedential on the courts in certain circumstances. Most states have enacted statutes that include prohibitions against trademark infringement and unfair competition. Several states also have trademark dilution laws. Further, the common law for those states often prohibits trademark infringement, passing off and a variety of unfair and deceptive business practices. Common law trademark claims can be made without any federal or state trademark registration. the newcomer’s intent in adopting its mark. Parties to unfair competition and trademark infringement cases pending before a court, or in proceedings before the TTAB, have the option to participate in alternative dispute resolution (ADR) procedures, such as arbitration or mediation. Although ADR is often voluntary, many courts now require parties to participate in a form of ADR before the case proceeds to trial. Arbitration is usually binding and conducted before an arbitrator or panel of arbitrators who take the role of a judge or jury. Mediation, on the other hand, is generally non-binding and often conducted before a single mediator. ADR offers several advantages to traditional dispute resolution tribunals. Because ADR is a private endeavour, the parties may exercise a great deal of control regarding the manner in which the dispute is heard and resolved as compared to the stringent rules set out by a court or the TTAB. For example, the parties can select their own ‘decision maker’ and mutually decide on the speed of the proceeding and scope of discovery. This flexibility can result in quicker resolutions at significant savings to the parties. Another advantage to ADR is that the parties can conduct the entire case confidentially. As a general rule, cases before a court or the TTAB are part of the public record. As ADR is private, the parties can agree to conduct the case in private without ever having to disclose the issues or results to the general public. There are several organisations that provide administrative support for arbitration and provide lists of affiliated mediators and arbitrators who are trained to conduct ADR procedures. These lists sometimes include individuals who have direct experience with unfair competition and trademark infringement cases. Alternatively, many trademark attorneys in the United States are trained to act as mediators or arbitrators. One advantage of selecting a trademark attorney as a decision maker is that the attorney will often have extensive experience in unfair competition and trademark infringement cases, and will understand the subtleties of the law without requiring extensive explanation. Federal courts have jurisdiction over trademark and unfair competition claims pursuant to 15 USC Section 1121, 28 USC Sections 1331 and 1338 and the doctrine of supplemental jurisdiction, 28 USC Section 1367. Federal jurisdiction in a trademark case can also be based on diversity of citizenship under 28 USC Section 1332 if the plaintiff and the defendant are citizens of different states and the amount in controversy exceeds $75,000, exclusive of interest and costs. Federal courts have personal jurisdiction over a defendant where, for example, the defendant has transacted business in the judicial district and/or has committed acts of infringement in the district. if there is no district in which an action may otherwise be brought as provided in this section, any judicial district in which any defendant is subject to the court’s personal jurisdiction with respect to such action. A party can secure jurisdiction in its home forum by filing the action there first, before the adverse party files in another forum, assuming that the court in the home forum has personal jurisdiction over the defendant and that venue is proper there. Under Rule 38 of the Federal Rules of Civil Procedure, a party may demand a jury trial as to jury-triable issues by filing the demand with the court and serving the other parties with the demand no later than 14 days after the last pleading directed to the issue is served. A trademark owner will often want a case decided by a jury if the facts show that the defendant was acting in bad faith or that the defendant’s actions have deceived consumers. A plaintiff in an unfair competition or trademark infringement case typically seeks not only judgment in its favour, but also injunctive relief and monetary damages. A court has considerable latitude in granting or denying such relief. An injunction is a versatile equitable remedy and a court has broad discretion to fashion injunctive relief in a trademark infringement or unfair completion case. A court may grant a temporary restraining order, a preliminary injunction or a permanent injunction. The Lanham Act authorises courts to grant injunctions “according to the principles of equity and upon such terms as the court may deem reasonable, to prevent the violation of any right of the registrant of a mark registered in the USPTO or to prevent a violation under subsection (a), (c), or (d) [of the Lanham Act]” (Section 1116(a) of the Lanham Act). Courts may award complete injunctive relief, ordering a defendant to cease all use of the infringing mark, or partial relief, permitting a defendant to use the mark in a modified form or to use other words or designs in association with the mark. Courts may also order a number of other actions, including the recall or destruction of the infringing goods or corrective advertising. Courts can also order the cancellation of a federal trademark registration or withdrawal of a pending application from the USPTO. A successful plaintiff is also often entitled to monetary relief, subject to the principles of equity. This relief may include defendant’s profits, any damages sustained by the plaintiff and costs of the action. Further, in assessing the amount of monetary relief, the court may award damages up to three times the actual damages amount (15 USC Section 1117(a)). To recover monetary damages, the plaintiff must prove the financial cost of its injury and any lost profits it might have earned absent the infringement. Actual monetary damages could include injury to loss of reputation or goodwill, lost sales, lost profits and the expense of preventing consumer confusion. The recovery of actual monetary damages for infringement does not require a finding that defendant wilfully infringed. Treble damages, attorney’s fees and costs generally require a finding by the court that the case is exceptional. For example, cases involving counterfeit goods are often characterised as exceptional. Punitive damages are not permitted under the Lanham Act, although they may be available under some state laws for particularly wilful acts of infringement. whether there are alternatives to a court action. evidence of assignments and licences. possible admissions by the defendant in trademark application files in the USPTO and in other government filings. Evidence of actual confusion is helpful, but is not required in order to establish a likelihood of confusion. Survey evidence is often critical to a plaintiff’s infringement. If the mark is somewhat descriptive, a secondary meaning survey may be used to show that consumers recognise the mark as a source identifier. A defendant, on the other hand, may seek to use a survey to show that a mark is merely descriptive, or even that it is a generic term. With respect to infringement, either party may use survey evidence to demonstrate whether there is confusion among consumers. This is particularly important in cases where there is no evidence of actual confusion. Similar evidence is used for other types of Lanham Act cases. For example, in a case alleging dilution by blurring or tarnishment, the plaintiff will seek to prove that its mark is famous and also that the defendant’s use has a negative effect on the distinctiveness or reputation of the plaintiff’s mark. In addition to evidence relating to the blurring and tarnishment factors identified in the Lanham Act, the parties may present survey evidence, particularly concerning the alleged fame of the plaintiff’s mark. Similarly, in a false advertising claim, the evidence will focus on the allegedly false or misleading nature of a defendant’s statement, whether the statement affected purchasing decisions and whether there was a negative effect on plaintiff’s sales or goodwill. Survey evidence will also often be relevant in a false advertising claim. Whatever type of claim is asserted, each party must be careful to preserve potentially relevant evidence, whether that evidence supports or undermines the party’s position. This duty arises when the party reasonably knows that a claim may be asserted. There can be serious consequences for failure to preserve evidence. The majority of defences to trademark infringement are prescribed in Section 1115(b) of the Lanham Act or common law. Section 1115(b) states that for a contestable trademark registration, another party may assert “any legal or equitable defense or defect”. Genericness – the term is ‘generic’ when it is or has become the common name for a good or service. Even a registered mark can become generic and may no longer be asserted as a trademark. Mere descriptiveness – a term that is merely descriptive, merely laudatory or merely geographic cannot function as a trademark, unless the trademark owner can show that the term has acquired distinctiveness as a trademark. Functionality – the Lanham Act precludes protection for functional product designs or configurations, regardless of whether that design or configuration has acquired distinctiveness. Fraudulent registration – the plaintiff obtained its registration through fraud on the USPTO. Abandonment – a mark is abandoned when use has been discontinued with the intent not to resume such use. The Lanham Act creates a presumption of abandonment after three years of non-use. Abandonment can also occur through conduct of the trademark owner which causes the mark to become generic or lose its significance (eg, the owner failing to properly police its marks or exercise quality control over licensees). Estoppel by laches or acquiescence – a trademark owner has a duty to assert its rights in a timely manner when it has notice of an infringement. Undue delay in asserting those rights may result in a trademark owner being estopped from bringing a claim. Licensee estoppel – if a plaintiff had previously licensed the mark from the defendant, the plaintiff may be estopped from claiming rights in the mark or challenging the validity of the mark. Unclean hands – the unclean hands defence may preclude or limit the scope of relief available to a plaintiff. Fair use – classic fair use involves the defendant using a term in a non-trademark manner to describe its own goods or services, or the geographic origin of its products or services. Nominative fair use occurs when the defendant uses the plaintiff’s mark to refer to the plaintiff’s goods or services and often occurs in the context of comparative advertising. Innocent local use – the defendant trademark owners that began local use prior to the grant of a federal registration to another party may be entitled to continue that use. Priority – the defendant may assert that its own rights in its mark predate the plaintiff’s asserted rights. the registrant’s exclusive right to use the registered mark in commerce. Nevertheless, an incontestable registration will be subject to the defences or defects set forth in Section 1115(b) of the Lanham Act. In general, an appeal in a trademark case is taken from a US District Court to the US Court of Appeals for the circuit embracing that judicial district (28 USC Section 1294). However, in cases in which a trademark claim is joined with a patent claim, any appeal must be brought to the US Court of Appeals for the Federal Circuit, which has exclusive jurisdiction over patent appeals. 28 USC Section 1295(a)(1) vests the Federal Circuit with exclusive appellate jurisdiction in cases where the jurisdiction of the district court was based, in whole or in part, on a patent claim under 28 USC Section 1338. In such an appeal, the Federal Circuit would apply its own law in deciding the patent issues on appeal, but would apply the law of the regional circuit in which the district court sits in deciding the trademark issues. A party can appeal a final decision of the Board to the Federal Circuit, the board’s primary reviewing court (Section 21(a)(1) of the Lanham Act, 15 USC Section 1071(a)(1)). The Federal Circuit will review the decision from which the appeal is taken on the record that was developed before the board. No new evidence can be submitted and no new issues raised. A party can seek review of a board decision by filing a civil action in a US district court (Section 1(b)(1) of the Lanham Act, 15 USC Section 1071(b)(1)). Unlike a Federal Circuit appeal, where the record is closed, the civil action path permits the parties to present to the court evidence that was not presented to the board during the course of the proceeding. Further, the parties in the civil action can expand the case beyond the issues that were before the board by raising new claims and seeking additional relief. Jeffery A Handelman assisted in the preparation of this chapter. 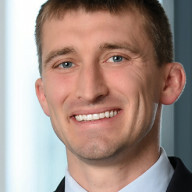 Andrew J Avsec is co-chair of the firm’s trademark practice group. He advises clients on complex brand protection, copyright, trade secrets and social media issues. 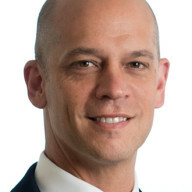 As a litigator, he represents clients in district court litigation, Trademark Trial and Appeal Board oppositions and cancellation actions, arbitration and domain name disputes under the Uniform Dispute Resolution Policy. Mr Avsec’s counselling practice includes prosecuting trademarks and copyrights, implementing global trademark protection and enforcement programmes, analysing trademark searches, advising on brand expansion projects, developing global trademark filing strategies and conducting advertising clearance. He was recognised in the Legal 500 2014 for his experience in handling trademark issues in a social media context. David S Fleming has more than 35 years of litigation experience, focusing on IP issues for clients in many different industries. He also advises clients with complex branding, clearance, licensing, due diligence and similar IP rights issues. Mr Fleming has served in a number of leadership roles in the global trademark community, including as counsel to the board of the International Trademark Association (INTA), as a member of INTA’s board of directors and chair of the INTA annual meeting and other programmes. In 2016 INTA recognised him with the President’s Award. Mr Fleming also speaks frequently on trademark issues and is a co-author of the book Trademark Litigation Practice, published by Bloomberg BNA. 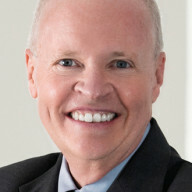 Howard Michael is co-chair of the firm’s trademark practice group. With nearly 20 years’ experience in IP law, he has helped protect trademarks, copyrights, advertising and trade secrets for many of the world’s largest companies. He has a particular focus on high-stakes, fast-moving trademark counterfeiting matters. Mr Michael appears regularly in federal court and before the Trademark Trial and Appeal Board. He also speaks regularly on topical trademark issues. Clients often look to him for advice on worldwide trademark and technology licensing. Applying a litigation perspective, Mr Michael identifies and avoids any potential pitfalls and controversial areas.